The Annual Convention of the Episcopal Diocese of Los Angeles has many great sponsorship, advertising and exhibitor opportunities. With over expected attendance of over 1000, the Diocesan Convention in Ontario Nov. 15-16 2019 can provide your company, institution or ministry with fantastic exposure to leading church parishioners, clergy throughout the diocese, and visitors from over 137 church communities. Register as an exhibitor. Utilize your opportunity spread the word about your ministry, program group, or business to clergy and laity from all over Southern California and the world. 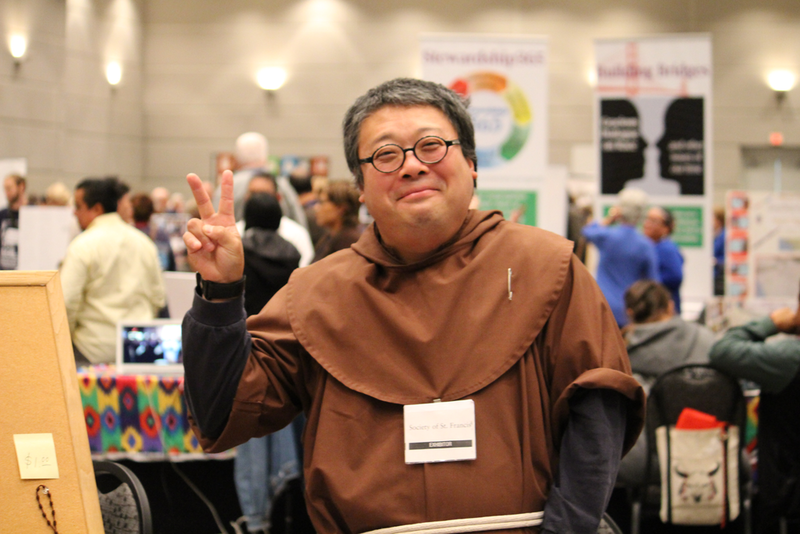 Register as an exhibitor at the Annual Convention of The Episcopal Diocese of Los Angeles and feed hungry hearts. Your contact as an exhibitor is Samantha Wylie. Sam has helped organize the exhibition floor year-after-year with great success. She is happy to help with any questions, concerns, regarding your exhibit space. Exhibits will be in Ballrooms A, B, and C immediately across the hallway from the meeting room where the sessions will be held. The Ballrooms total 19,626 square feet. The rooms are carpeted. Your reservation includes an 8’ table, two chairs, linens, and access to an electrical outlet. There is an entrance lobby where Convention registration will begin at TBD. The single largest annual collective of Episcopal clergy and laity in the Diocese of Los Angeles. With thousands gathered at the Ontario Convention Center each year, the Diocesan Convention is the premier venue for building relationships with potential customers. Make an impression on thousands through exhibits, print and big screen advertising opportunities. The Episcopal Diocese of Los Angeles hosts many internal program groups, institutions, and commissions at convention that serve as branches of Diocesan ministry. These groups provide the people of Southern California with services that range from laundry ministries to gardening programs to prison ministries. Showcase your ministry, program, or service opportunity at convention.